168-mile real world range. Relaxed drive. Plenty of space. Infotainment seems dated. Expensive compared to petrol and diesel rivals. 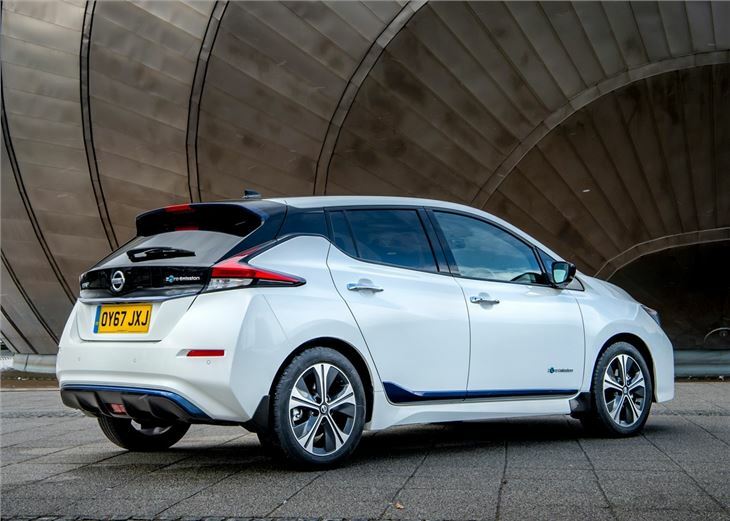 When the Nissan Leaf arrived in the UK in 2011, it was revolutionary. An all-electric car with a usable range, as much practicality as a family hatch and a relatively affordable purchase price helped it secure the title of the world's best-selling electric car. 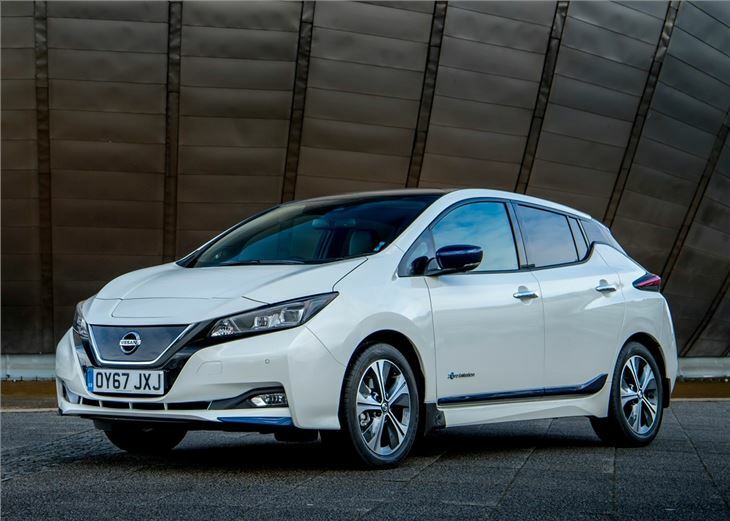 The latest model features a sleeker design, a bigger battery and therefore a longer 168 mile range under new 'real world' WLTP tests. Power has been increased to 110kW - equivalent to 150PS - while torque has been increased to 320Nm, improving performance. 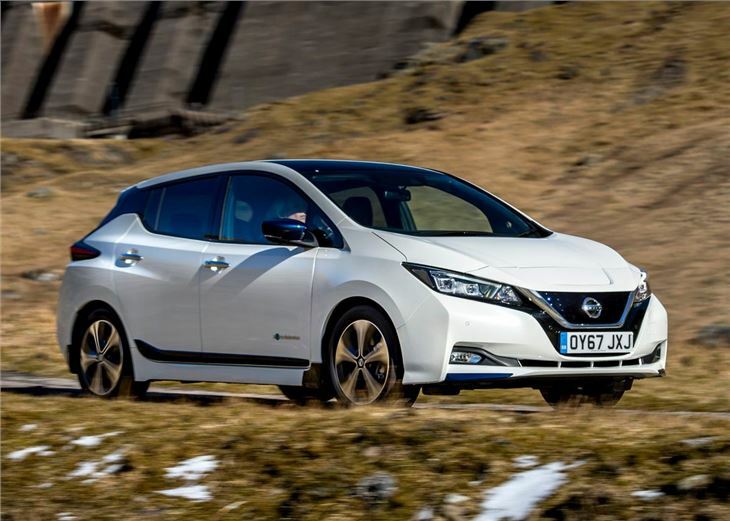 Nissan will introduce a more expensive higher-power version with a bigger battery providing a range of close to 310 miles from 2019. One interesting new feature is the e-Pedal. 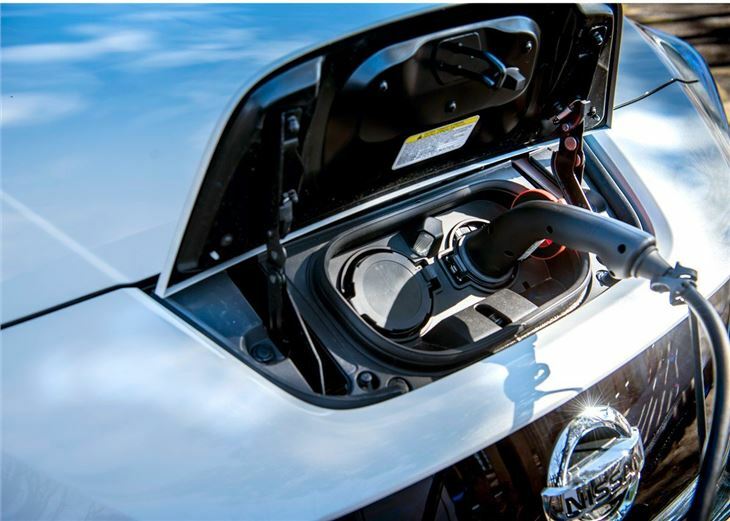 With this turned on, the electric motor automatically slows the car down, pumping energy back into the battery. 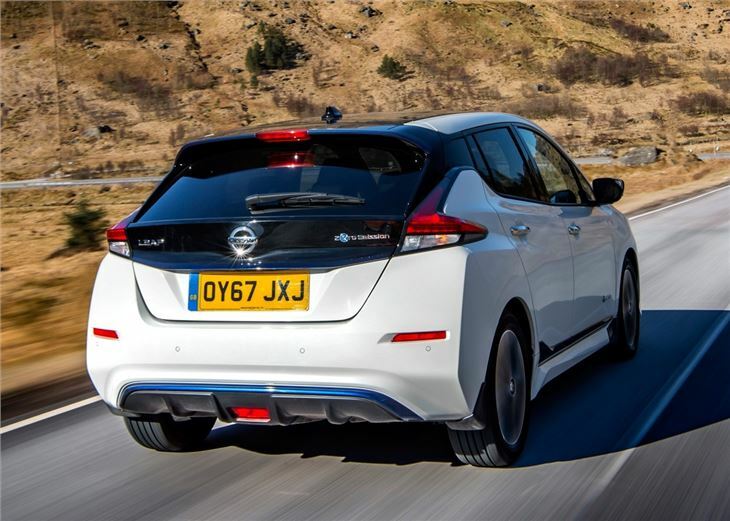 Although many electric cars feature regenerative braking, this is more extreme - braking harshly enough for most situations and even allowing you to resort to one pedal driving most of the time. This contributes to a very relaxed driving experience. It's pokey around town - although the Leaf soon starts to run out of breath at motorway speeds, and the lack of an engine means you'll notice more road noise than usual. It handles fairly well, with a low centre of gravity thanks to the batteries positioned underneath the floor, although it's not as agile as the Volkswagen e-Golf. The interior feels more conventional than the old Leaf with higher quality materials - although it's still not as premium as the Volkswagen. 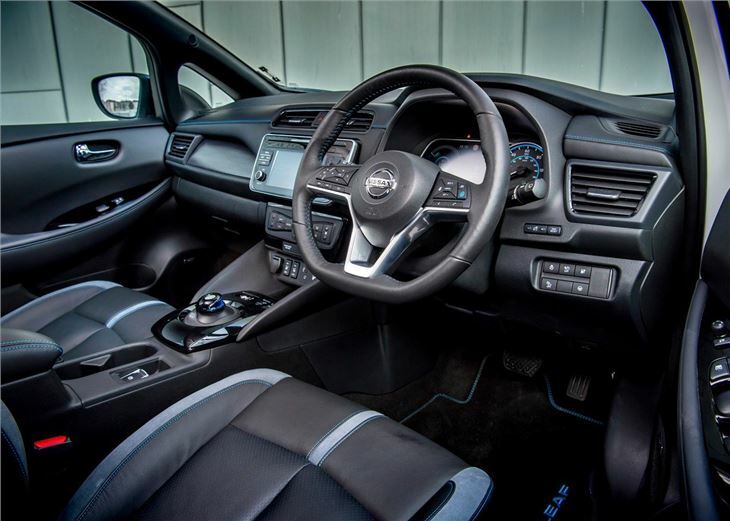 An improved version of Nissan's 7-inch infotainment system looks dated but is easy to use, providing access to the navigation and audio systems, as well as Android Auto and Apple CarPlay. There's plenty of space in the cabin, with enough room to carry four adults in relative comfort. The boot floor is flatter than before, while there's a generous 435 litres of luggage space with the rear seats left up. 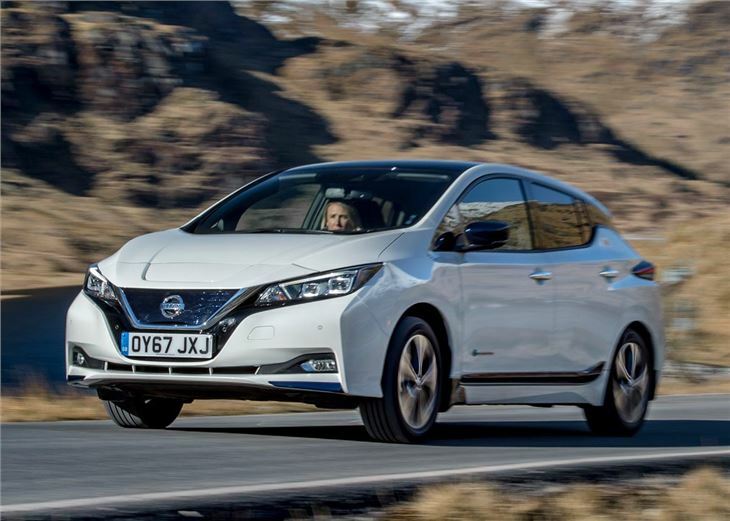 Although the latest Leaf won't make the headlines in the same way as the original, it's a perfectable likeable introducing to electric motoring. It's very useable - with a decent range and a bit boot. We just don't think it's quite as polished as it perhaps could be.